The Allied Congress Party of Nigeria ACPN has angrily reacted to the withdrawal of its Presidential Candidate, Dr Oby Ezekwesili from the February 16 Presidential Elections, saying the former Education minister only tried to use it’s platform to negotiate a ministerial position in the next political dispensation. The party said Dr Ezekwesili never consulted with the party before withdrawing from the race. Those who addressed the press on behalf of the party were its National Chairman and running mate to Dr Ezekwesili, Alhaji Ganiyu Galadima, National Secretary, Chief Paul Isamede, Deputy National Chairman, South, Otunba Bosun Omosule and his counterpart for the North, Alhaji Ibrahim Goronyo. They said they received with consternation but not surprising Ezekwesili’s withdrawal which was to preempt the decision that the party would have reached after its meeting on Thursday. “She only preempted the decision we would have reached today which was to withdraw her candidacy and give to somebody else. “Our presidential nomination ticket is N10 million and expression of interest is N500, 000 but when she came she said she did not have money, that she only had N100, 000 and because we wanted to encourage women, we gave her our platform”, said Mr Galadima. Consequently, the ACPN has declared it’s support for the reelection of President Muhammadu Buhari of the All Progressives Congress APC. The reason for calling this press conference is to let the world know about the presidential aspiration of Dr. Oby Ezekwesili, which in actual fact, is not the truth. We have been put into confidence by several of her aides one of which is named lyinoluwa Aboyeji also known as Maureen, that she only wanted to use the platform of the Allied Congress Party of Nigeria ACPN to negotiate to be Nigeria’s Finance minister. This she did not deem fit to inform the party whose mandate she is holding. “If you will observe, Dr. Oby Ezekwesili, is the only presidential candidate who was so militant in her campaign without any tangible thing on the ground to indicate any seriousness in the prosecution of her campaign. No campaign secretariat, billboard or great commitment on the ground to indicate any seriousness. “It is on this ground that the Allied Congress Party of Nigeria ACPN is withdrawing support for her presidential aspiration and endorsing the second term bid of President Muhammadu Buhari to take Nigeria to the next level. “We also seek this medium to I form our former presidential candidate Dr Ezekwesili to return to the party all the property in her possession especially the various donations that she has been receiving from all over the world. Whatever she had received belongs to the party and we must render account to the Independent National Electoral Commission INEC. So, it is mandatory. We are aware of all the accounts she and her aides had opened for this election to which donations were made”, the party declared. National Secretary, Chief Paul Isamede, on his part said Dr Ezekwesili when confronted on why she was using the platform to raise money, said; “she showed us a piece of paper and said there was $5000 in one account and then in another account, about N35 million in local donations and that if we wanted her to transfer it to the party’s account right away, she would do so. That was over a month ago”. Dr. Ezekwesili who was one of the 73 presidential candidates in next month’s election withdrew from the race, in a statement issued by the spokesperson for the Obiageli Ezekwesili Presidential Campaign Organization, Ozioma Ubabukoh. 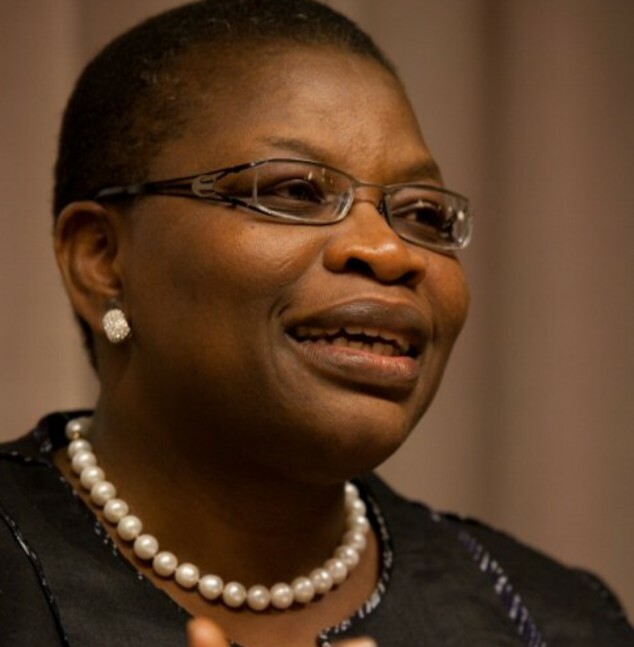 Ezekwesili was quoted as saying that her decision to withdraw from the race followed extensive discussions with Nigerians at home and the Diaspora.